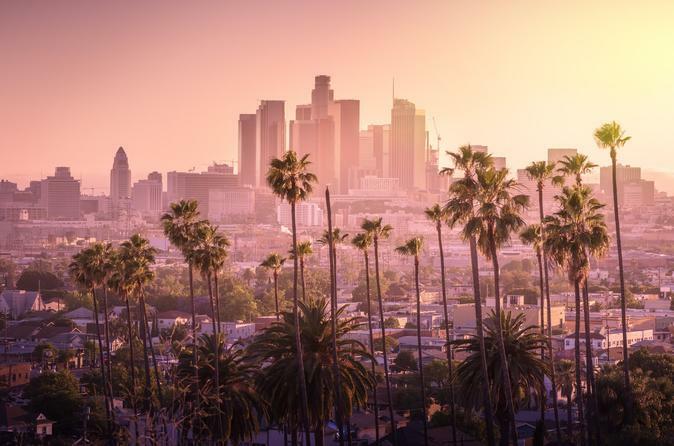 Travel from San Diego to Los Angeles, The City of Angels! Our first stop in Los Angeles will be the world famous Venice Beach. After visiting Venice beach we will walk down Rodeo drive and take pictures at the Beverly Hills sign. The bus will pick us up near the sign as we take off to the Griffith Observatory, on Mount Hollywood, where you will have an amazing view over the city of LA. You can also take beautiful pictures of the Hollywood sign here. We will check into the hotel right in the center of Hollywood, and prepare to go on the walking tour of the Hollywood Walk of Fame. On day two of our Los Angeles trip you have the option to check out of the hotel and head to Universal Studios (add-on). Our other group will head to The Grove where we will go shopping and have lunch. After lunch the bus will leave to the iconic Santa Monica. If the time allows, will explore Universal City Walk before heading back to San Diego. *** Quad, Double and Single rooms can be booked by individual persons without pre-set roommates. If a person does not have roommates pre-set, the tour guide will help to find that person roommates on the bus.